I write this letter in response to the keynote speech you gave at the Oil and Money Conference. You started working in the oil and gas 40 years ago in 1979. By then, climate science led by fossil fuel companies had already established the connection between emissions of greenhouse gases from fossil fuels and climate change. By no later than the 1980s and perhaps far earlier, major oil companies were incorporating climate risks into their operational planning for major projects and taking steps to protect their own assets from long-term climate impacts. More than half of global CO2 emissions since 1988 can be linked to just 25 producers, including BP. Throughout the 1990s and 2000s, and despite company documents supporting the scientific consensus on climate change, your sector engaged in a massive public relations campaign against public understanding of climate science. Your sector chose to use its enormous political influence to stymie progress in the renewable energy sector on false premises – that fossil fuels will remedy fuel poverty and that a renewable energy system would be insecure or increase economic insecurity and unemployment. Your sector still does that. You did it yourself in your keynote speech. This is context of your 40-year career in the oil and gas sector. So where are we now? Climate change is here. Already for many millions of people, especially those who have not benefited from fossil fuels and do not have access to clean energy, their lives are predetermined by climate change. The lives of all our children will be predetermined by climate change. And dealing with climate change now – 40 years late – will require, as you point out, dramatic changes for society. You say that we have a dual challenge: providing much more energy, while dramatically reducing emissions. I say that our challenge is providing access to clean, safe, zero carbon energy, dramatically reducing emissions and our opportunity is to this is in ways that lift people out of poverty worldwide. There is no macro-economic constraint on building this new economy. Redirecting these capital investments into low-carbon technologies could be expected to lead to accelerating technological progress and business model innovation. As we both know, induced technological progress of this nature, coupled with wider spill-over effects, drives modern economic development. However, there are other constraints – not least the political and financial influence of you and the fossil fuel sector. This is why it is necessary to drive a wedge not only between you and money and but also between you and our policy-makers. 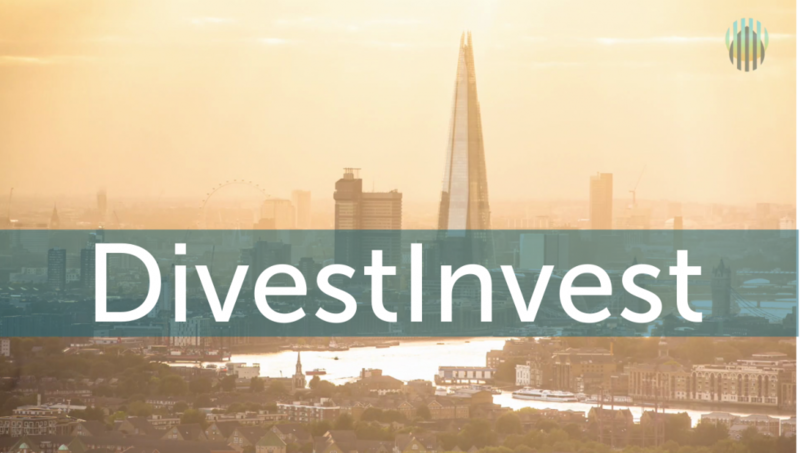 Divestment and, even better, Divest Invest, are proving to be the best tools to achieve that – as you have already shown in choosing to make them the subject of your keynote speech. They weaken your social license to operate through the capital markets and your influence with democratic governments to slow progress. They shift capital to where it’s needed – towards climate solutions. These are the growth sectors in our economy. Solar energy already employs more people in the US than the coal sector. Divesting from fossil fuels and investing in climate solutions does not present a financial risk to investors but a financial opportunity. The pressure to weaken your hold on governments and markets won’t go away. It will grow as each one of us feels the impact of the last 40 years of fossil fuel pollution and climate change denial. Civil societies across the world are increasingly use litigation to secure climate justice. We will continue to use some fossil fuels in coming decades but demand will peak in the next decade, then reduce. 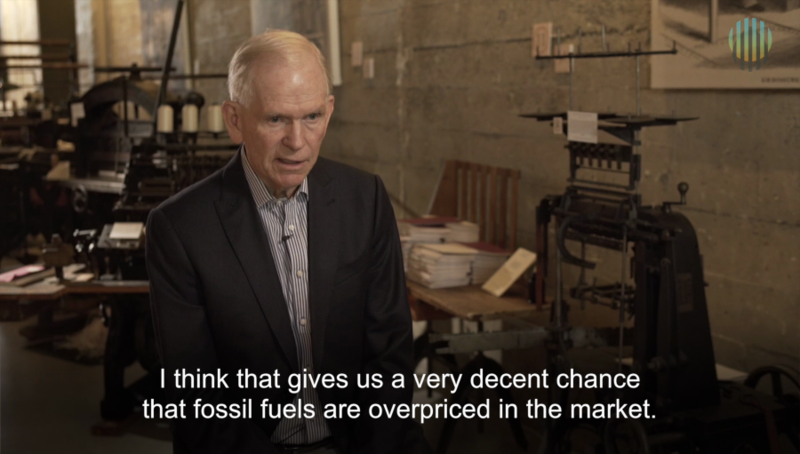 Your market share will fall much earlier than fossil fuels are completely displaced as investors respond to increasing regulation to protect us from fossil fuel pollution and the incremental energy demand is met by ever cheaper renewable power. 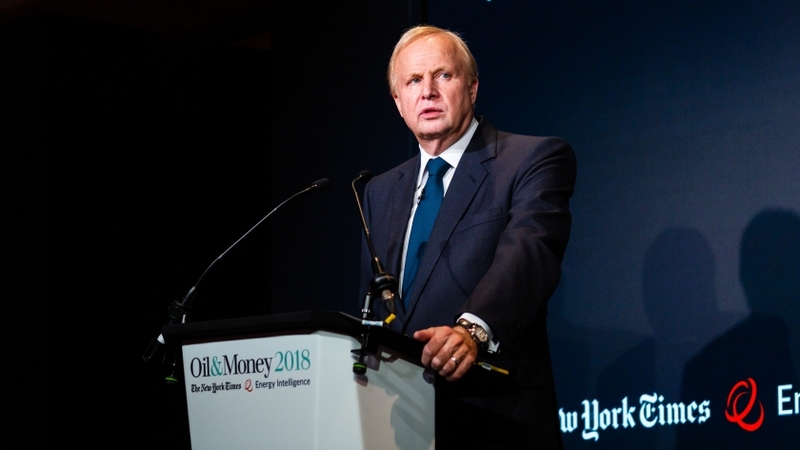 You have not – in common with the other oil and gas majors – redirected your capital expenditure, and invested sufficiently to transform BP into a profitable zero carbon energy company. You refuse to disclose climate related financial risks as called for investors with over $32 trillion AUM. You leave financial institutions little option but to divest BP and invest in ways that safeguard the future of investors.